The Manter Memorial Hostel on the Edgartown Road in West Tisbury is surrounded by lush trees that have all but hidden it from the road. 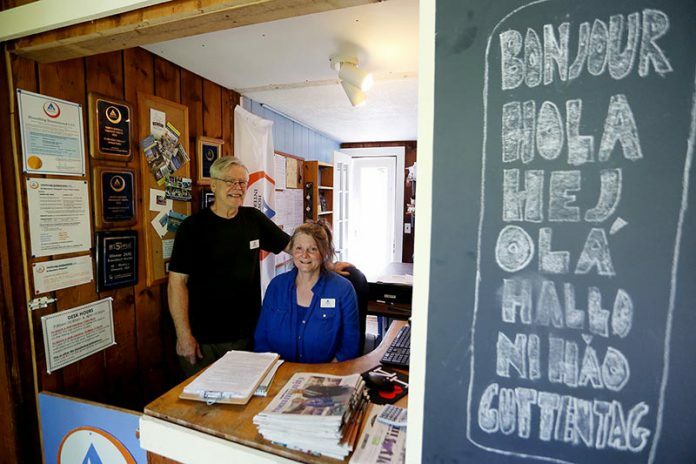 But travelers from all over the world have no trouble finding the Vineyard’s sole hostel, according to co-managers Donnie Morgan and her husband, Michael Gambone. This year, the couple will provide accommodations for close to 3,000 people before the season is over. “By far the majority of our guests are from the United States,” Ms. Morgan said. “The Vineyard can be a difficult place to get to.” But Mr. Gambone pointed out that they have guests from all over the world; many European travelers who are experienced hostelers often make reservations well in advance for trips with stays in hostels throughout New England, including the Vineyard and Nantucket. 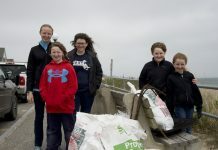 The hostel also hosts bike groups, Scout troops, and programs for the FARM Institute and other local organizations that bring in people from off Island. Now and then, there’s even a wedding. Paul Metzler, from Chicopee, had parked his car in Falmouth and put his bike on the ferry. There were close to a dozen guests at the hostel for the African American Film Festival, including two women, Jalisa Goodman and Kim Townes, who spoke about the camaraderie among guests, and that “filmmakers could mingle here, unlike in a stuffy hotel in a city.” The night before, half a dozen of the film festival guests decided to go to a party in Oak Bluffs together. Kim, a Hampton College alumnus, joked that it was “actually sort of treasonous” that she had made friends at the hostel with Jalisa, an alum of Hampton arch-rival Howard University. The building, named to honor Islanders Lillian and Daniel Manter, who built the hostel in 1955 and ran it for many years, is operated by Hostelling International USA (HI USA), a nonprofit founded in 1934 to promote international understanding of the world. HI USA owns and operates 50 hostels and is affiliated with Hostels International, which oversees over 4,000 hostels worldwide. The Manter hostel is open to travelers between mid-May and mid-October. As with hotels, most reservations may be made online on their website. 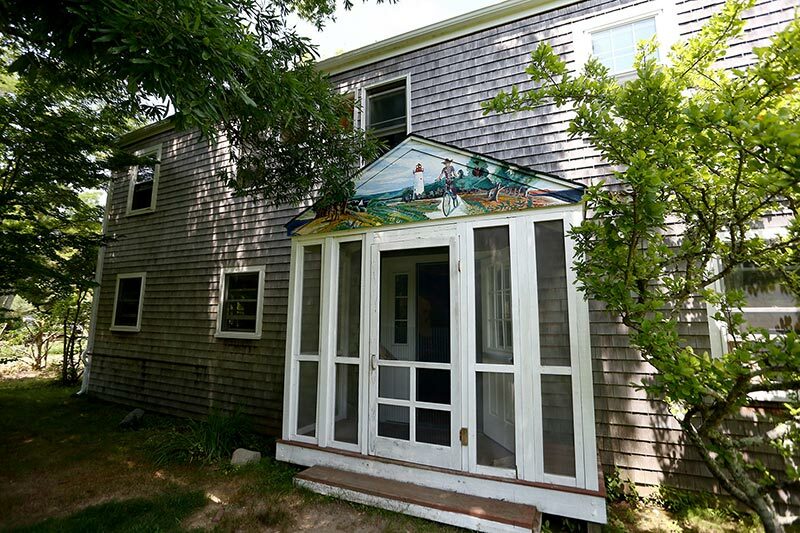 Hostels range from urban high-rise buildings with hundreds of beds, to scenic and more remote locations like the one in West Tisbury. The Manter Hostel has look and feel of a rural summer camp, with a big communal kitchen and dining room, and a large living room but with the added benefit of a decidedly un-camp-like Wifi. It has 67 beds for visitors, in rooms including singles, doubles, and mixed dorms, and accommodations for staff in a variety of combinations, many of which can be changed according to need. Only travelers, meaning no locals, may rent, in keeping with hostelling’s mission, and may only stay for a total of one week during a season. The Manters based the Vineyard hostel on a model developed in Europe, first catering to traveling students and youth who once were required to arrive on public transport, bicycles, or foot. It is the first hostel in the United States that was deliberately built for the purpose, and it has been used as a model for many hostels built since. Curfews and wake-up calls were once the rule, and it was common for hostels to keep log books where travelers would leave messages to those following in their footsteps about places to go and things to see in the area as well as critiques of hostels visited. And Manter, as with all hostels, now welcome guests via any mode of transport. There is even parking for guests’ cars. In addition to co-managing the hostel, Ms. Morgan is also regional manager and Mr. Gambone is maintenance engineer for the Northeast Region of HI USA, which means they oversee the running of seven hostels in New England and New York. 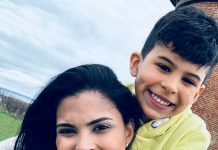 Ms. Morgan loves to travel, so when she left a 20-year career as an educational administrator in Virginia, she took several long trips around North America, the United Kingdom, and Europe. “I stayed in hostels for months at a time. Managers would invite me to work after I had developed a sense of what the hostels were all about,” she said. She was not entirely unschooled in the hospitality business, having been responsible for residence halls as a college administrator. She met Mr. Gambone at Randolph-Macon college when she was about to graduate and he had embarked on one of his first jobs as a college professor. They kept in touch over the years, and both married others. He cycled through a number of jobs over the years, picking up a variety of skills, rebuilding homes, becoming an electrician and even an electrical inspector. Twenty years after they first met, both of their marriages had ended. Mr. Gambone visited Ms. Morgan, who was working for a hostel in Buffalo, and their relationship became more serious. In 2000 and 2001 Ms. Morgan worked as a seasonal employee at the Vineyard hostel and in 2003 returned to the hostel in Buffalo. After a long distance relationship, Mr. Gambone eventually joined Ms. Morgan in Buffalo; the couple came to the Vineyard in 2010 after a couple of seasons on Cape Cod. 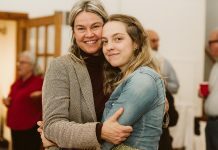 They have experienced a consolidation of the Hostel organizational structure in the last couple of years from one where many hostels were owned and managed by local nonprofit boards to a nationwide organization of hostels with a national board with more standardized rules. Ms. Morgan said that there are several for-profit, much smaller companies unaffiliated with HI USA that operate on a similar model to theirs in the United States. They open the Vineyard hostel first each year, and only after making sure the staff of five to six is in place. Once the annual town health and building inspections are complete, they oversee the opening of their other hostels. Both Ms. Morgan and Mr. Gambone said that by far most visitors to the Vineyard hostel have a wonderful time. 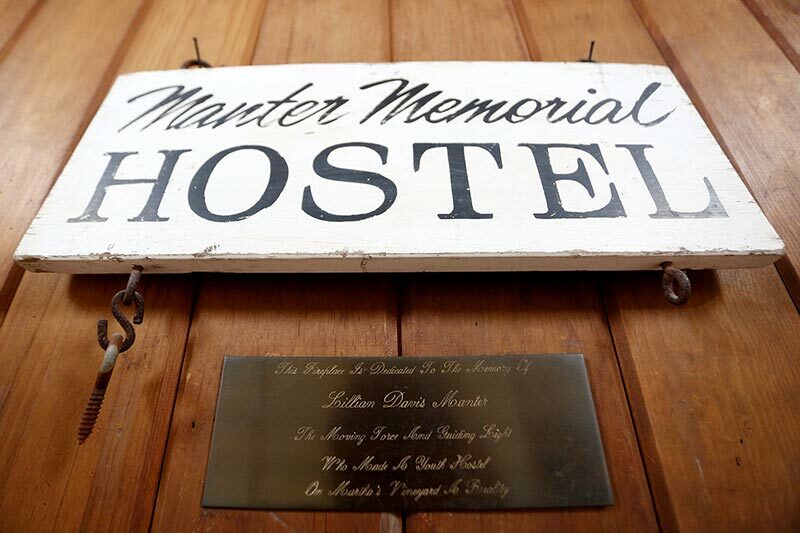 Information on the Manter Memorial Hostel can be found on their website, www.hiusa.org. Reservations can be made by phone or online (the preferred method), just like most any other hotel. Beds rent for $35 a night during the week most of the season, $39 a night during August, and $42 a night on weekends for members of Hostel International, $3 more for non-members. Membership costs $23.